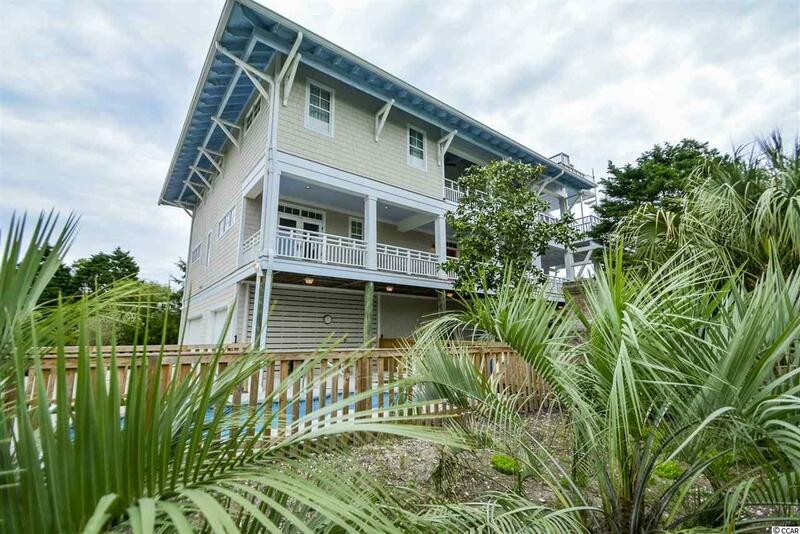 Architecturally engineered 6 bedroom, 6 bath, raised beach home (completed 2008) in pristine condition. Most big bedrooms here have PREMIUM mattresses. Private Pool on property. 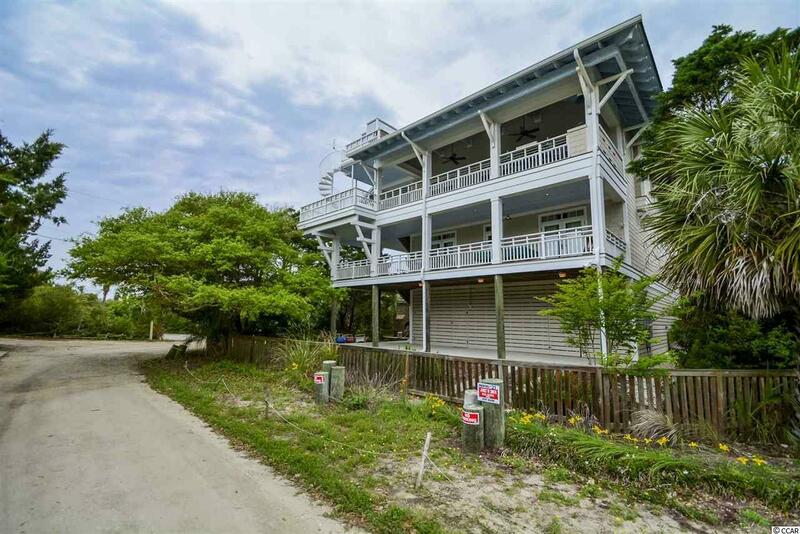 Located on "1.5 row" corner lot in North Litchfield Beach with partial ocean views & unobstructed views from widows walk. 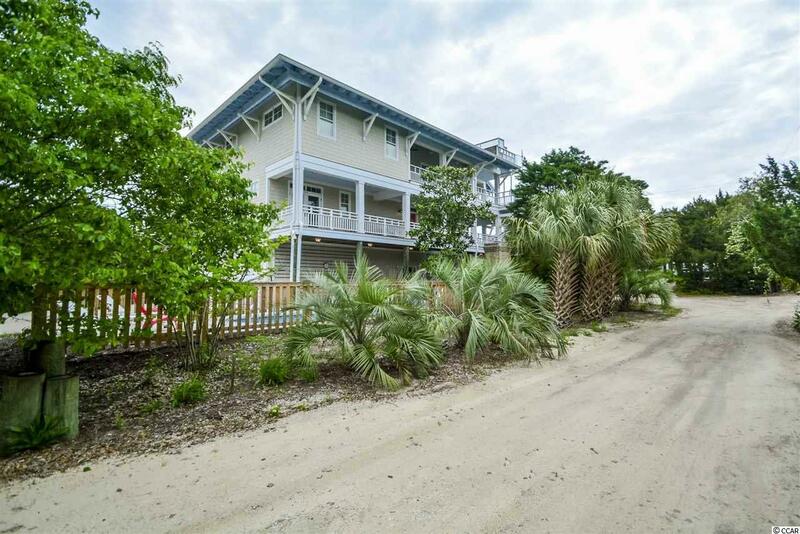 Beach ACCESS is only steps behind the house. Very close by!!! Interior offers hardwood floors throughout plus wide-open great room with vaulted ceiling & fireplace. Gourmet entertainment kitchen features stainless steel & granite countertops, center island, breakfast bar, 5-burner gas cooktop, oven with warming drawer, 2 dishwashers, stainless steel appliances, & 2 disposals. Wine cooler. Upgrades include media room/den, elevator, master bath whirlpool tub, separate washer/dryer set on each floor, in-line hot water heaters, water purifying system with hot water dispenser, central vacuum, hurricane grade windows, spray foam insulation all over, & geothermal energy system. 1500 sq. 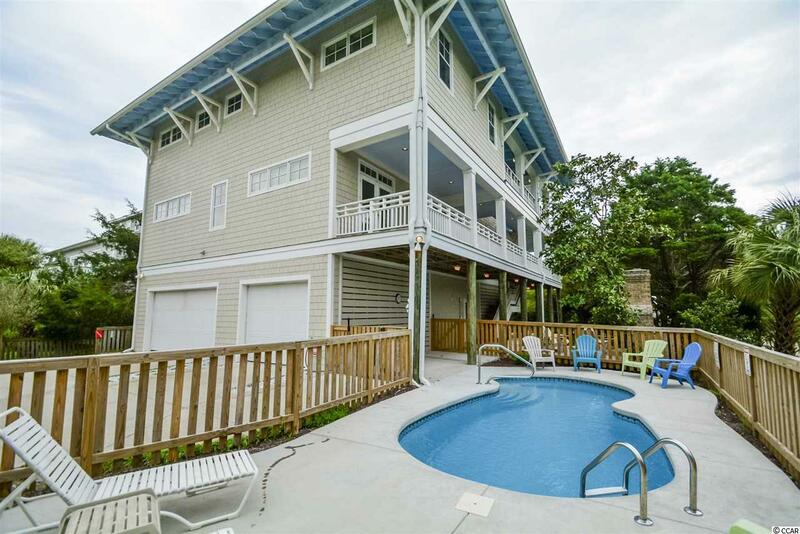 foot enclosed garage with room for 3 cars plus big toys (like kayaks, Hobie Cats, & golf carts), extra storage, large ice machine, and 2 outdoor showers. Exterior boasts 2 large wrap around porches, outdoor SUMMER kitchen with tiled dining table, pool table, outdoor brick fireplace with seating area, separate fenced area, & "half court" basketball goal. Furniture included! Some bedroom have sliding door to porch. all bedrooms have fans and large televisions. Kick off your shoes; enjoy the sounds & breezes of the Atlantic!